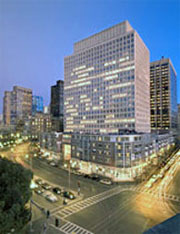 0	Can the Supply of Office Space in Boston Keep up with Demand? The Boston market will continue to grow through 2018. 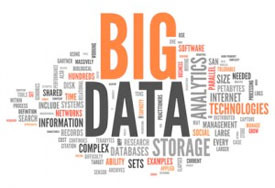 How will this affect office pricing in the years to come? The tenant retention rate was 68 percent in the first quarter with landlords offering an average of five months of free rent, according to the survey. 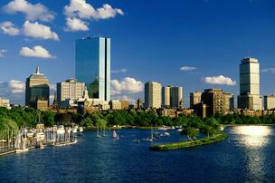 Cap rates averaged 5.7 percent in the Boston central business district and 7.2 percent in the suburbs. 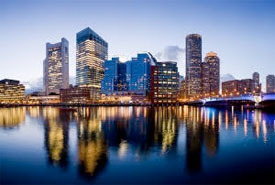 Boston is one of 32 U.S. office markets expected to remain in expansion phase in 2015, the PwC report said, with employment generating demand for office space outpacing new supply…San Francisco, which shares many of Boston’s market characteristics, is expected to contract in 2015 and enter a recession mode with negative rental growth in 2017. Oxford Properties continues its buying spree by plunking down $114.5 million for 745 Atlantic Avenue or $657 per square foot. 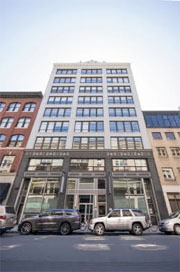 745 Atlantic Avenue is home to WeWork and Dain Torphy as well as a number of companies. WeWork will be building out a Café on the 1st floor as part of their future expansion. 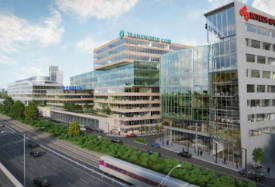 “It really fits our profile of what we like to buy for the long-term: Class A assets in downtown cores near transit-oriented locations,” said Chad Remis, the head of Oxford Properties’ Boston office. Its $114.5 million acquisition of 745 Atlantic, which closed May 29, is more than double the $54.65 million sale price 745 Atlantic fetched in 2003. 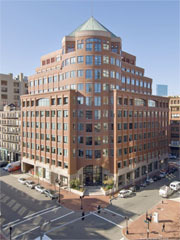 The property sold again in 2008 as part of a $1.7 billion office property acquisition invovlingBeacon Capital Partners and Charter Hall Office REIT of Sydney, Australia. You can read the full article on the Boston Business Journal website. 1. 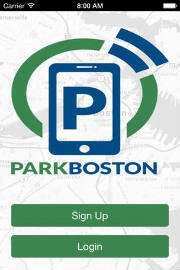 Boston drivers can now feed their meters with a mobile app. 2. Boston’s new partnership with SAP. 5. The unveiling of a “startup czar” position. You can read more on each of Mayor Walsh’s tech initiatives for Boston on the BizJournals website. Boston Office rents are some of the most expensive nationally and expected to continue upward during 2015. Vacancy in the city has continued downward with value options within the low rise Class A and Class B in the Financial District. “The vacancy rate in Boston at the end of the fourth quarter was 13.4 percent, the seventh-lowest rate in the country among the roughly 75 markets Reis examined…The national average was 16.7 percent. Average Boston rents rose 0.2 percentage points during the fourth quarter. Most of the cities saw a small decline. Average rent in Boston at the end of the fourth quarter was $32.42 per square foot — fourth highest in the country,” according to stats presented on the Boston Business Journal. The full BBJ article can be found, here. 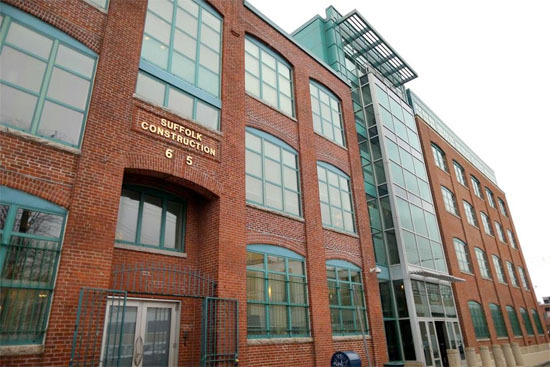 100 Cambridge Street has a buyer. Intercontinental is a Boston-based real estate firm that focuses on acquisitions, asset management, portfolio management, finance, development, construction management and property management. “That’s what we’re hearing,” says one market observer who maintains suitors were drawn to the opportunity listed by Colliers International “in droves” for a unique 590,000-sf facility that includes commercial tenants and state agencies occupying a tower that was revamped from an aging state-occupied structure into a mix of private and public space a decade ago. The initiative has lower levels housing multiple agencies and high-rise floors leased to top-name companies including Cannon Design, a nationally known healthcare architect in 27,500 sf on Floor 14 and law firm Prince Lobel occupying the 21st and 22nd floors. 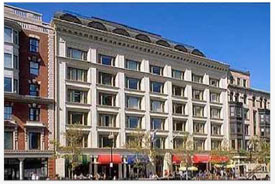 American Student Assistance fills 151,000 sf on six floors and Massachusetts General Hospital is on a trio of leases expiring from April 2015 to June 2016.